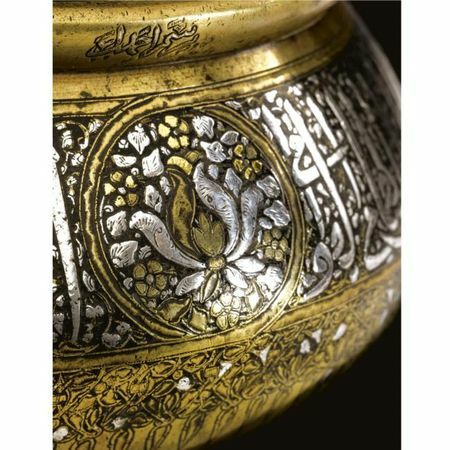 LONDON.- Sotheby’s first ever Arts of the Islamic World auction in the Middle East, which takes place on March 19th 2009 will feature a number of exceptional and rare works spanning nearly 1,000 years from cultures as diverse as those from North Africa, the Middle East and Iran. 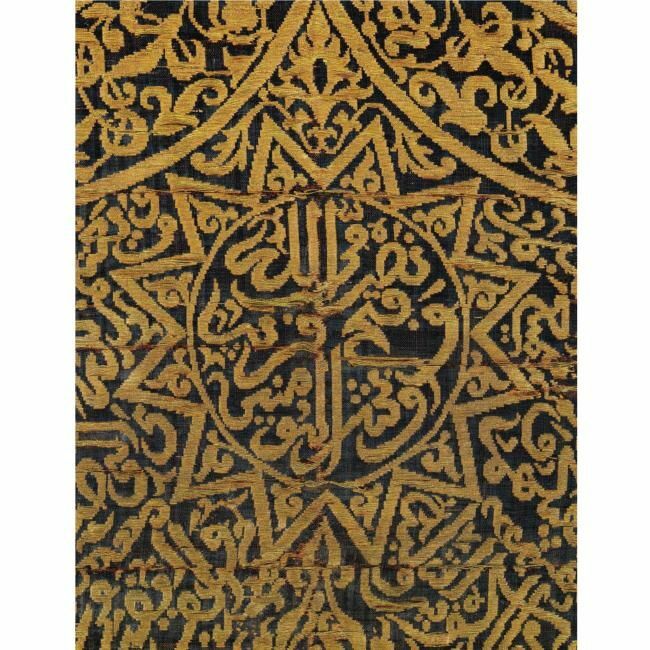 Among the highlights of the sale are the Pearl Carpet of Baroda, a masterpiece of pearls and jewels from 19th-Century India and a rare Safavid voided silk velvet panel from 17th-Century Iran (Lot 301, Est. 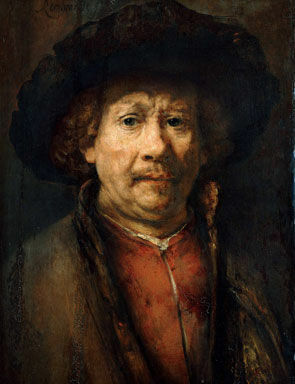 $250,000-350,000). 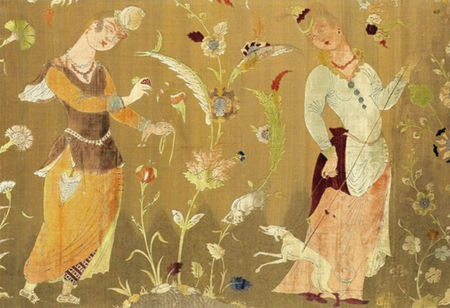 A remarkable discovery, featured as lot 301 in the sale, is a 17th-century silk velvet figural panel from Safavid Iran which is exhibited in public for the first time having recently resurfaced in a European private collection where it had been since the early 20th century. 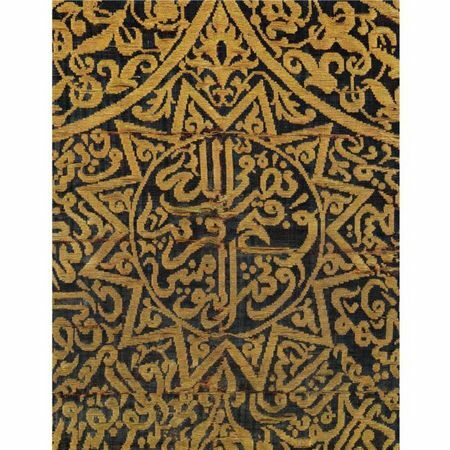 The outstandingly high quality of craftsmanship, combined with the rarity and beauty, as well as the miraculous state of preservation, make this textile one of the most sophisticated weavings ever produced by the workshops of the Safavid court. The panel uses voided silk velvet enriched with metal thread and bouclé and shows two female falconers equipped with general fittings for the hunt – one has a lure tied round at their waist and a the other has a small Saluki or hunting dog straining on a leash. 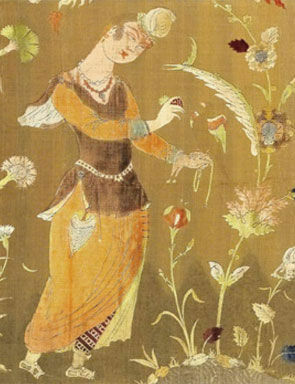 Falconry was a popular pastime among the wealthy and sophisticated Persian elite of the day. 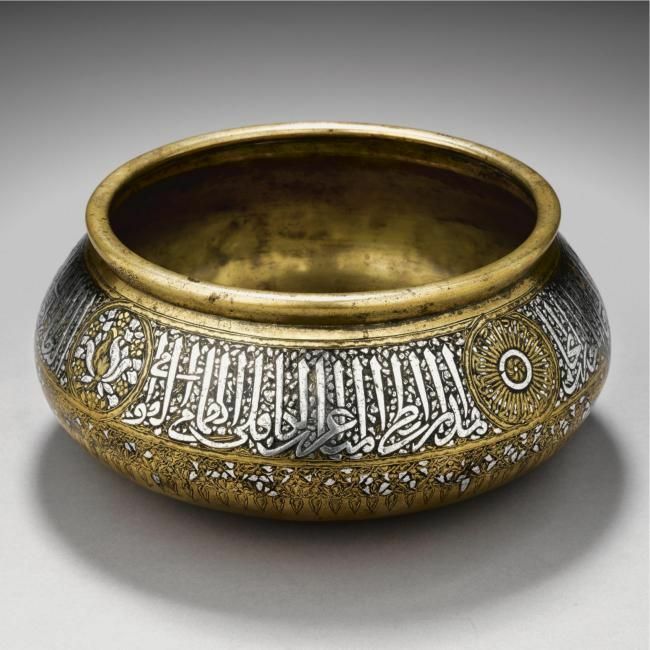 Comparable pieces can be found in major museum collections, most notably the Museum of Islamic Art in Qatar. 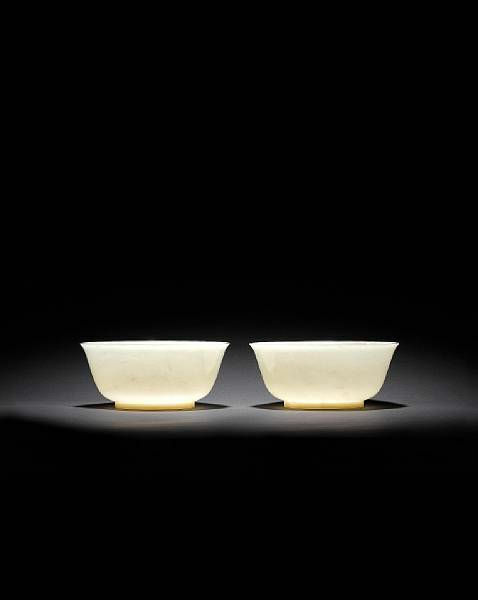 The medieval Islamic period is represented by an exceptional carved glass bowl dating to the 10th century. 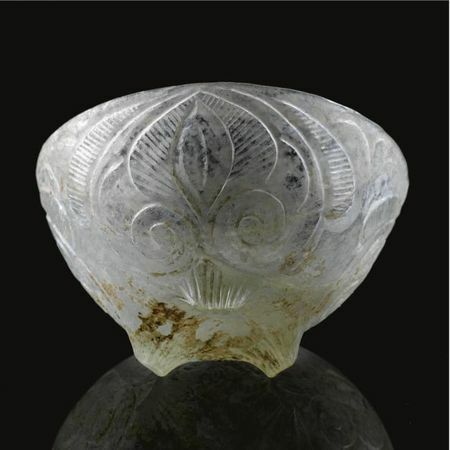 Decorated in the so-called “beveled” technique, this fragile bowl is deeply carved so the designs stand out in dramatic relief. 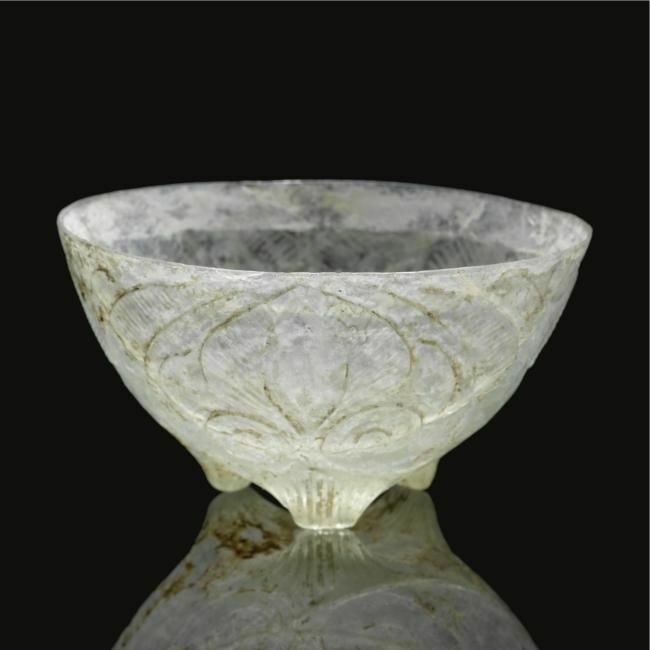 Only a handful of such pieces survive from antiquity and this example is among the finest in existence (Lot 304, Est. 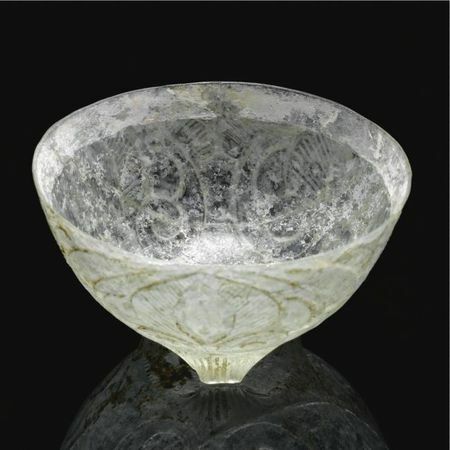 $650,000–850,000). The five other known comparable examples are all in major international museum collections: the National Museum of Islamic Art in Doha, the Kuwait National Museum, the Corning Museum of Glass in New York, and the British Museum and Victoria & Albert Museum in London. 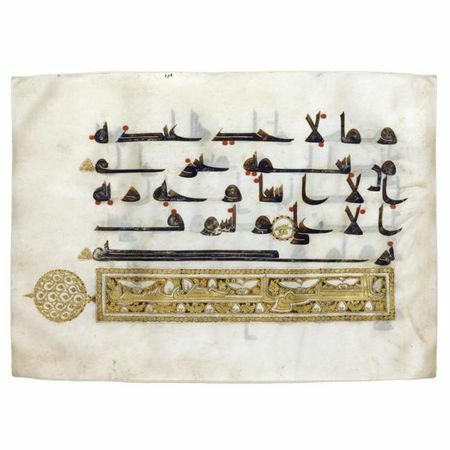 A Qur’an leaf dating to the 9th or 10th century is written using the bold and simple Kufic script known for its strong horizontal stretching of letters and ligatures (Lot 303, Est.$130,000–180,000). 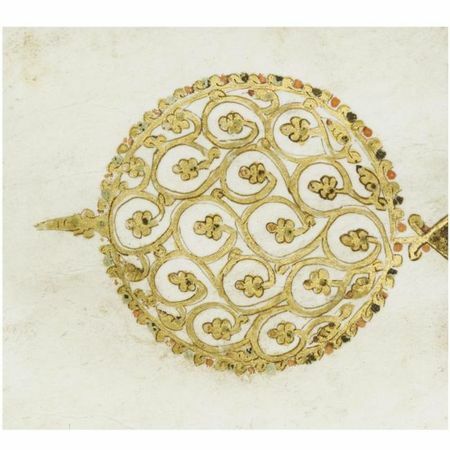 This leaf is a particularly elegant example and includes a beautiful sura or chapter heading richly decorated in gold with a thumbpiece resembling a peacock’s tail or a flowering tree hinting at the idea of heaven as a flourishing garden. Another highlight is a gold and silver inlaid bowl from the Mamluk period. 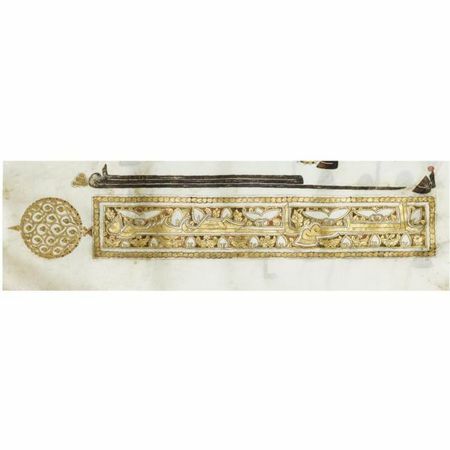 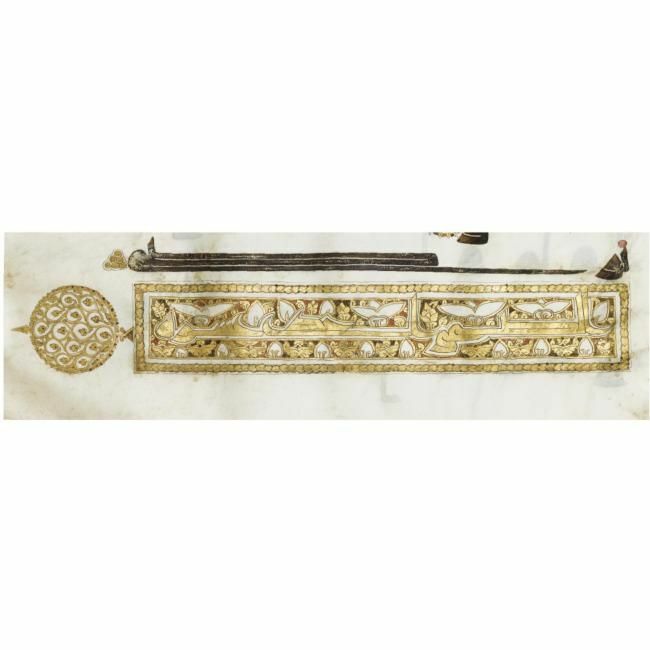 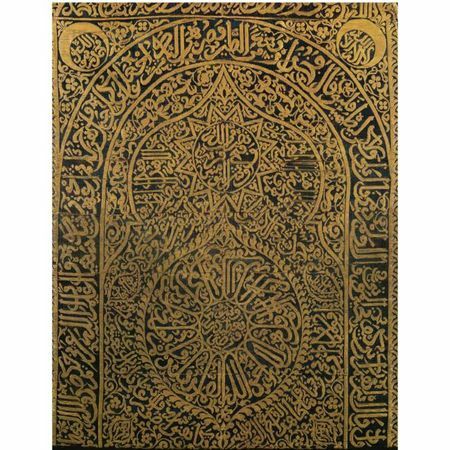 This exquisite piece is decorated with Arabic calligraphy and bears the names and titles of the Mamluk Sultan al-Malik al-Nasir Muhammad ibn Qala’un who ruled in Egypt and Syria in the late 13th/14th Century (A.D. 1294-1340) and is estimated at $400,000-500,000 (Lot 306). 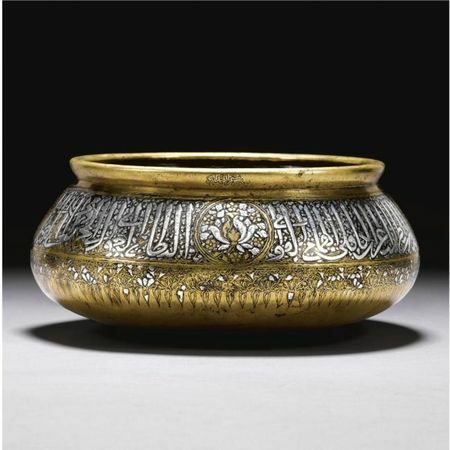 Muslim craftsmen excelled in the art of inlaying gold and silver into precious vessels and this bowl is an exceptional example of this technique. The bowl bears close relation to Mamluk pieces in museum collections: a virtual companion bowl is in the Galleria e Museo Estense Modena in Italy and a very similar work is in the collection of the Galleria Regionale della Sicilia in Palermo. 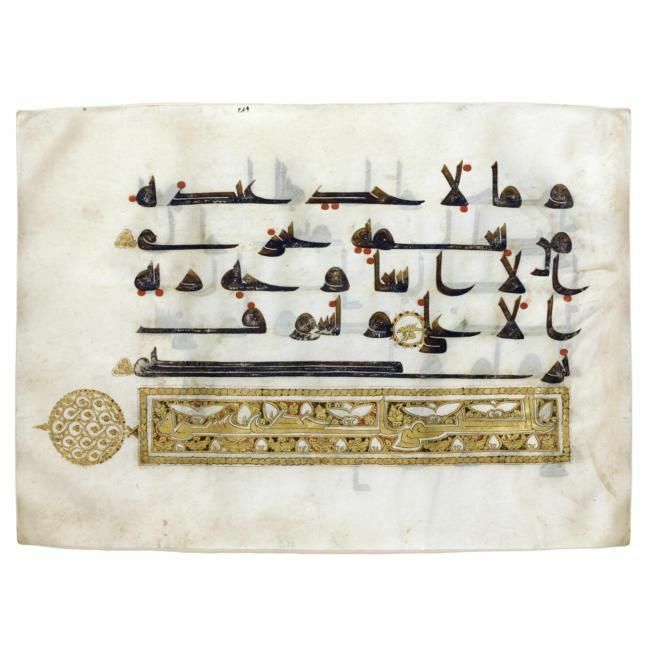 A further highlight of the sale is a rare curtain from North Africa dateable to the 18th century, estimated at $250,000-300,000 (Lot 302). 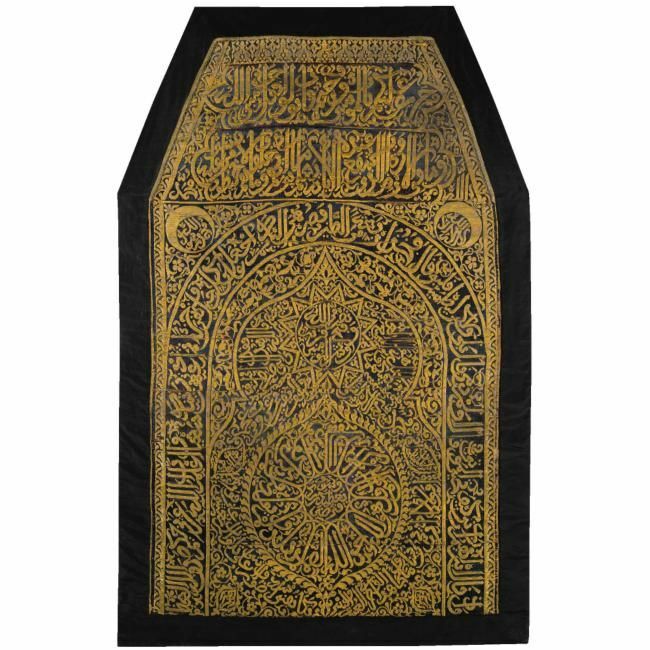 This curtain or cover is embroidered in gold-wrapped thread with pious inscriptions incorporating verses from seven different surahs (chapters) in the Qur’an. 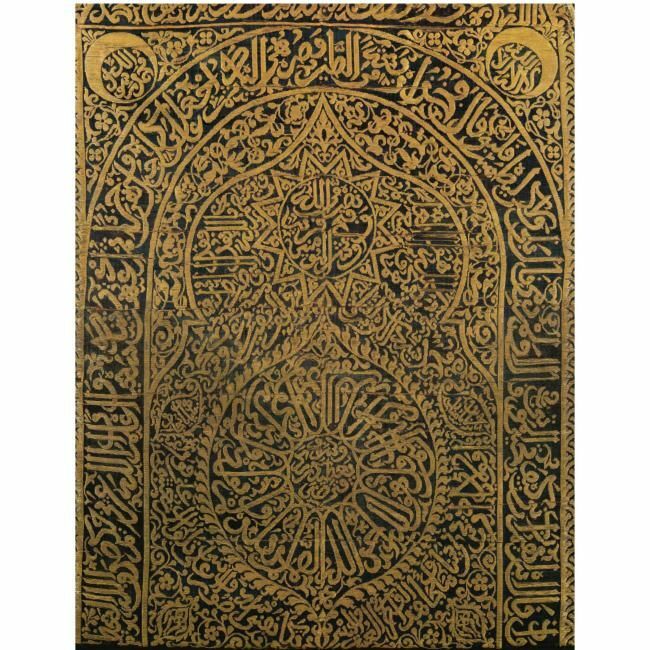 The references to the Prophet Ibrahim and Idris suggest that it was made in Morocco and may have been intended as a gift for one of the holy shrines. 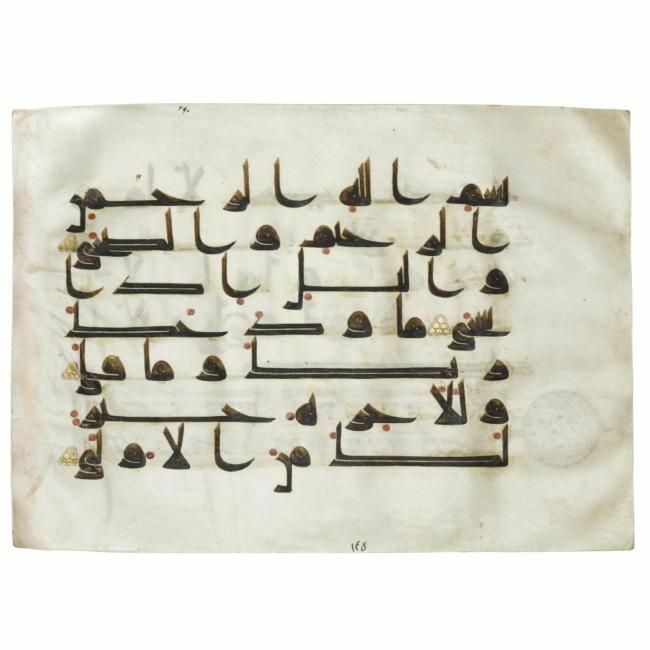 This piece along with the Qur’an leaf dating to the 9-10th centuries illustrates the richness and sophistication of Islamic calligraphy spanning 1,000 years.